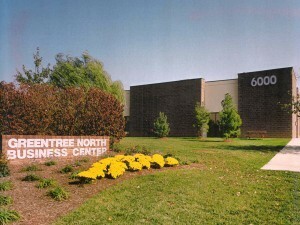 Wolf Commercial Real Estate, the foremost Mount Laurel commercial real estate broker that specializes in Mount Laurel commercial real estate listings and services, is offering premier Mount Laurel office space for lease in the Greentree North Business Center. Conveniently located along the Route 73 corridor, this office and flex space in Mount Laurel has a variety of office sizes available for multiple uses. There is currently is Mount Laurel office space for lease in five single-story buildings in the Greentree North Business Center. 6000 Commerce Parkway Mount Laurel NJ: There is 24,000 square feet of Mount Laurel office and flex space for lease now available in this Mount Laurel office building for lease at 6000 Commerce Parkway Mount Laurel NJ. There also is tailgate loading available in the Mount Laurel office space for lease at 6000 Commerce Parkway Mount Laurel NJ. 11000 Commerce Parkway Mount Laurel NJ: The Mount Laurel office building for lease at 11000 Commerce Parkway Mount Laurel NJ offers 23,008 square feet of divisible office and flex space for lease in Mount Laurel. This office space in Mount Laurel has three loading doors. 14000 Commerce Parkway Mount Laurel NJ: There is one unit with 12,000 square feet of Mount Laurel office and flex space for lease in this Mount Laurel office building for lease at 14000 Commerce Parkway Mount Laurel NJ. 15000 Commerce Parkway Mount Laurel NJ: The Mount Laurel office space for lease at 15000 Commerce Parkway Mount Laurel NJ provides 31,000 square feet of divisible office and flex space for lease in Mount Laurel. This office space in Mount Laurel features high ceilings and sidelights in every office. 18000 Commerce Parkway Mount Laurel NJ: The entire building at 18000 Commerce Parkway Mount Laurel NJ is available for lease, providing 20,000 square feet of office and flex space for lease in Mount Laurel. This Mount Laurel office building for lease has one loading door and a generator. The asking lease price for this office space in Mount Laurel is $11.00-$12.00/SF NNN. These Mount Laurel office buildings for lease are being offered for immediate occupancy by Wolf Commercial Real Estate, a Mount Laurel commercial real estate broker that specializes in Mount Laurel commercial real estate listings and services. Locally owned and managed, this office and flex space in Mount Laurel features a day-care facilities within the Greentree North Business Center, as well as recreational amenities. This office space in Mount Laurel is located close to many hotels, restaurants, retailers and banks. There is direct access to Route 73 from these Mount Laurel office buildings for lease, providing easy access to both I-295 and the New Jersey Turnpike. This office and flex space in Mount Laurel is close to the Tacony-Palmyra Bridge and the Betsy Ross Bridge. This Mount Laurel office and flex space for lease is available through Wolf Commercial Real Estate, a Mount Laurel commercial real estate brokerage firm that specializes in Mount Laurel commercial real estate listings and services. More than 180,000 people live within five miles of this Mount Laurel office space for lease. The average household income near this Mount Laurel office buildings for lease is $105,426. An average of more than 46,000 vehicles per day drive through the intersection of Route 73 and Lincoln Drive near this office and flex space in Mount Laurel. Parking is plentiful at this office space in Mount Laurel, with a ratio of 4.5/1,000 sf. This Mount Laurel office buildings for lease at 6000 Commerce Parkway Mount Laurel NJ, 11000 Commerce Parkway Mount Laurel NJ, 14000 Commerce Parkway Mount Laurel NJ, 15000 Commerce Parkway Mount Laurel NJ, and 18000 Commerce Parkway Mount Laurel NJ are available through by Wolf Commercial Real Estate, a Mount Laurel commercial real estate broker. For more information about this Mount Laurel office and flex space for lease in the Greentree North Business Center or about any other Mount Laurel commercial properties for sale or lease, please contact Christina Del Duca (856-857-6304; christina.delduca@wolfcre.com) or Christopher Henderson (856-857-6337; chris.henderson@wolfcre.com) at Wolf Commercial Real Estate, a Mount Laurel commercial real estate brokerage firm. Wolf Commercial Real Estate is a leading Mount Laurel commercial real estate broker that provides a full range of Mount Laurel commercial real estate listings and services, marketing commercial offices, medical properties, industrial properties, land properties, retail buildings and other Mount Laurel commercial properties for buyers, tenants, investors and sellers. Please visit our website for a full listing of Mount Laurel commercial properties for lease or sale through our Mount Laurel commercial real estate brokerage firm.